With this book, it has always been my intent to use it to help others. It's not just an interesting true story about a notorious criminal, it lays out a harrowing chronicle about destruction, struggle, and redemption. 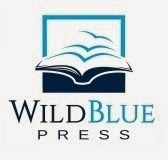 There's a takeaway I'm hoping each reader will find, and I'm hoping it will provide solace amid their struggles, or encourage people to live in service to those in need. 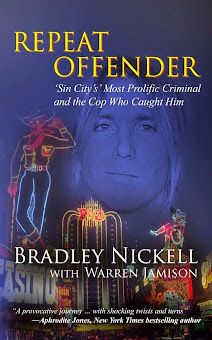 REPEAT OFFENDER is being released by WildBlue Press on 04/14/15 in digital formats, paperback and soon to be in audio book. Currently, The RCC serves all of Clark County, Nevada. Our focus on supporting victims in the immediate aftermath and long-term recovery following sexual abuse and assault is unwavering. As an organization, our staff, board, and volunteers are all committed to providing the highest quality services to our community. Through our 24 hour hotline; information and services available at our resource center; support of victims and families as they go through the court system; the recent addition and expansion of counseling services for survivors of sexual abuse and assault through our Signs of Hope Counseling Center; and our outreach and education programs in the schools and throughout our neighborhoods, RCC is here for clients affected by sexual abuse and assault, and also working to change the behaviors and attitudes that contribute to the prevalence of sexual violence. Everyone involved with the services of the RCC are empathetic and enthusiastic people who give their time, energy, and personal sacrifice to continue to serve Clark County’s victims of sexual violence. Our services are provided free to victims through the generous support of our grant partners, as well as individual and corporate donors.